In many divorces, especially those involving people with high net worth, asset division can become complex, even within the framework of community property rules. On occasion, one spouse will attempt to hide assets from the other, or to somehow put those assets out of reach. There are ways to try and discover this misconduct, though hidden assets can be difficult to identify and prove. There are several ways to go about finding hidden assets, though there is never any guarantee of success in doing so. Sometimes, simply asking for a full picture of the estate will yield results, but this is almost never true with someone who has deliberately chosen to hide assets. Most of the time, an investigation will be necessary. Such an investigation will need to be conducted through use of the discovery rules. Interrogatories (written questions), requests for investigation and depositions are all tools, among other options, that may assist with finding those assets. 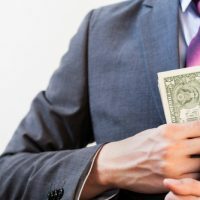 One other avenue you may wish to investigate, or have your forensic accountant investigate, is whether or not your spouse has any access to what is called an asset protection trust (APT). Nevada consistently ranks high on the list of states in which assets can be protected from creditors or others who seek judgments, and APTs are one of the primary tools used for that safeguarding. Individuals with high net worth in particular are prone to use APTs for assets such as business proceeds, so if there is the possibility that one exists in your spouse’s portfolio, it may be wise to look for it. If you are able to catch your spouse hiding assets, there are numerous ways that the court may handle asset division afterward. Nevada is a community property state, and all community property (assets acquired during the marriage) is divided equally unless the court is presented with a compelling reason to make the division unequal. If a spouse is caught hiding assets that may convince a Court to divide the assets unequally. Another reason that community property may wind up being divided unequally is if one spouse is found to have wasted community property. This is referred to sometimes as dissipation of assets, and while it can be difficult to prove, the most common reason dissipation is where one spouse is alleged to have had an affair. If the spouse has purchased gifts for a lover, and those gifts have been substantial, in some situations the Court may determine that the other spouse should receive a larger share of the community property to make up for this withdrawal. Divorce is hard, and to discover that your soon-to-be ex-spouse has been hiding assets can feel like a betrayal. Nonetheless, caution and care should be the watchwords during proceedings, and having a knowledgeable attorney on your side can help ensure that everything is handled in a just manner. The attorneys at the Kainen Law Group are well versed in these types of cases and are happy to sit down with you and try to help you decide how best to handle your specific situation. Call our Las Vegas office today to set up an appointment.